Love tassles and tease? The Velvet Grind burlesque revue might be the night out for you. Burlesque performers including Imogen Kelly (crowned World Queen of Burlesque in 2012), Frankie Valentine, Egson Ham, Miss Jane Doe, The Ladies in Waiting, Krystelle Derriere, Haven Noir and the Maison Burlesque Go-Go Bunnies will be performing at the Spotted Mallard in Brunswick for a night of striptease and glamour. 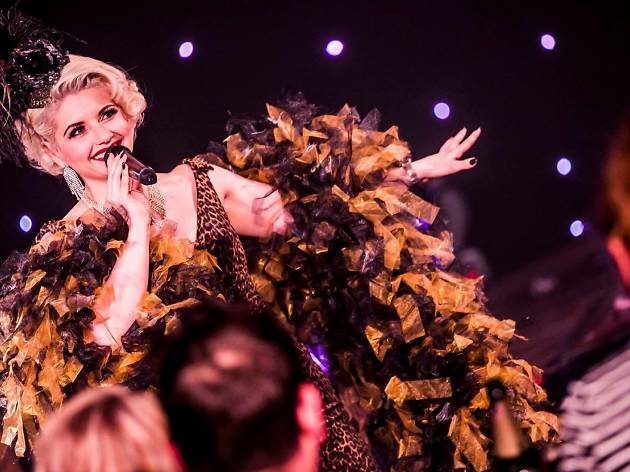 The event will be hosted by Poppy Cherry and includes showgirl troupes and some of burlesque's most exciting talent. Tickets are $25 in advance and $35 on the door.